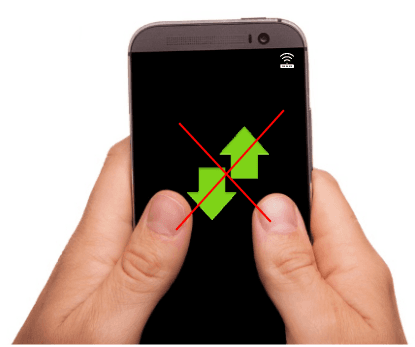 This is a quick tutorial to explain how to turn off mobile data automatically when WiFi is active. 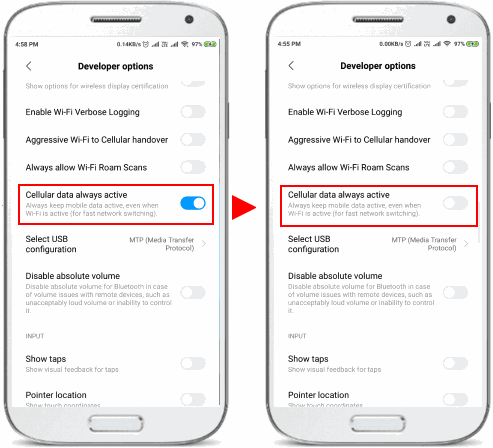 On Android, mobile data remains active when WiFi is turned on. But you can disable this easily to save the battery usage. There is a built-in method to change this behavior. You can use that and after doing this, your mobile data will not remain turned on when WiFi is active. In some mobile phone brands, this option is disabled by default, but if it is not then this tutorial will help you. In most Android phones, the mobile data remains active along with the WiFi for fast switching. But there is downside of this feature that it eats battery in the background for nothing. And that is why it is wise to disable this feature. You can do this without any third party app. You just need to have the developer options enabled on your phone to disable this feature and everything else is super easy. I will only focus on disabling this feature on Android but if you have iPhone or Windows phone then the steps will be similar. How to Turn Off Mobile Data automatically when WiFi is Active? 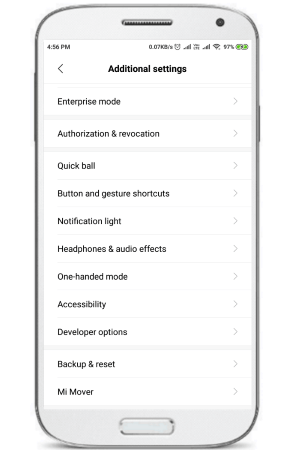 Just open the Settings app on your Android phone. After that, find the “Developer Options”. The developer options are not enabled by default. If you have never used it then you will have to enable it. For that, go to About Phone section in the Settings and tap 6-7 times on “Build Number” or “Build Information”. Now, in the Developer options find “Cellular Data Always Active” or “Mobile Data Always Active”. If it is enabled then simply turn it off by sliding the corresponding switch. And now you are done. Just close the settings app and start using your phone in the usual way. At this point, you have disabled cellular data when you are on WiFi. And if you decide to have this feature enabled later than you can simply turn it on again in the same way. If your phone has a good battery backup then you can keep this option enabled otherwise disable it right away. You may have not realized it yet but the cellular data remains active even when you are connected to a WiFi network. And I have told you that this feature is intended for fast network switching. But if you don’t need this feature then you can simply disable and it will surely save you some amount of battery power. So, do check your Android phone and see if mobile data is set to turn on while phone is connected to WiFi. Redmi and some Samsung phones have this feature disabled by default.